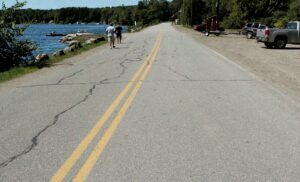 Selectmen authorized on Monday night the $7,500 purchase of a 6.2-acre property by U.S. Route 202 for use as a parking lot for the causeway. 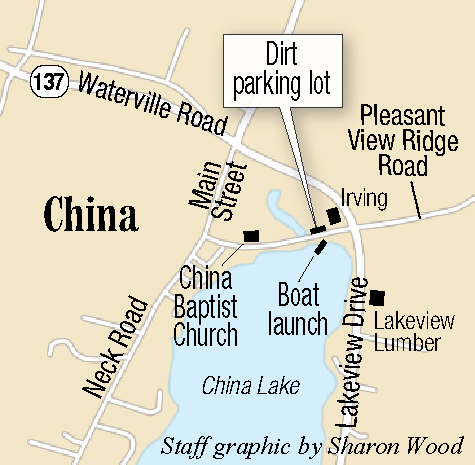 CHINA — The town is moving ahead with the purchase of land near a causeway on China Lake so that it can be eligible for state funding to fix a boat ramp. 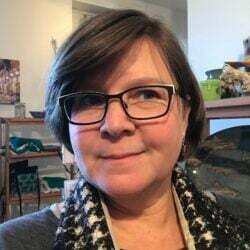 In executive session at a Select Board meeting Monday night, selectmen voted 4-0 to authorize Town Manager Dennis Heath to purchase 6.2 acres from Susan Bailey for $7,500, with an “acknowledgement of contribution” letter for an additional $2,500. The property contains 0.56 acres of “usable” land, which has been used informally as a parking area for causeway visitors. Heath said that under town ownership, the area will be “truly publicly accessible.” Currently, the closest parking lot owned by the town is by the China Village fire station. Tentative plans for the lot include creating parking for 18 rigs and one space that complies with the Americans with Disabilities Act. “The plan is, I think, to initially gravel it, but we would like to get it to the point — with the proper permitting — to (pave) it, if we can,” Heath said. 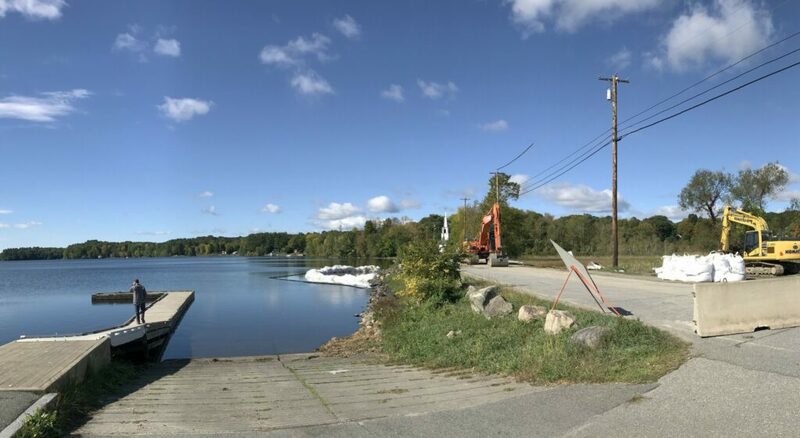 The acquisition will help the town become eligible to apply for a state grant from the Boating Facilities Program to rebuild its boat ramp. The concrete plates have broken up and separated, making it difficult to launch boats. Heath said he feels optimistic about being approved to apply for the grant, which has a 25 percent match requirement. The town has to submit a request for the Boating Facilities Program to complete a site evaluation by April 17. The deadline for the grant application — if the department clears the town to apply — is July 24. Projects are to be completed by June 30, 2021, according to the Bureau of Parks and Lands website. Heath previously stated that he expects work on the project to conclude by late summer of 2020. Renovation of the parking area is part of the second phase of the causeway project. Heath said that there is about $220,000 of TIF funding left to spend on that phase of the project. Aside from parking upgrades, phase two will include adding recreational features to the causeway area, such as a sidewalk and a snowmobile and all-terrain-vehicle trail. As part of the land purchase deal, the town agreed to place a marker on the property recognizing the Bailey family’s contribution. Heath will meet with members of the TIF Committee’s Construction Subcommittee at 10 a.m. Friday to work on phase two of the causeway project. This meeting is not open to the public. Also in a 4-0 vote, the selectmen authorized Heath to hire a candidate as the new code enforcement officer. Heath said he would not reveal the name of the candidate until he or she accepts the position. Jeffrey LaVerdiere, the fifth member of China’s Select Board, was absent on Monday night.